MK Ultra was a project financed by the CIA Between 1953 and 1966. The purpose of the project was to conduct human experiments on unsuspecting victims and army personnel. The US Central Intelligence Agency formed this project to identify and develop drugs to be used within interrogations as a form of torture, this scheme was started in the hope of achieving a procedure that would weaken an individual into a forced confession through the coercion use of mind control. Organisations involved included: Scientific Intelligence Divisions, Special Operations divisions and the Chemical corps division of the American army.The program conducted various illegal activities with Canadian and American citizens. MK Ultra was involved in numerous methods of manipulation, including analysis of the mental state and alterations to brain functions with the use of LSD and other chemical drugs. Hypnosis, sensory deprivation, isolation and verbal abuse would be other forms of psychological torture used to further scientists research on the effects of drugs on the human psyche. These experiments were conducted in 80 different institutions, including 44 colleges, universities, hospitals, prisons and pharmaceutical companies. CIA director Allen welsh and Sidney Gottlieb both began the project on April the 13th 1953, their sole purpose was to develop mind-controlling drugs to be used as a weapon against Soviet prisoners and foreign leaders. The Agency invested millions in hopes of a truth serum to come out of these horrific experiments. Drugs were administered to vulnerable people such as mental patients, prisoners, drug addicts, children, and prostitutes, with one subject being injected with LSD for 174 days! 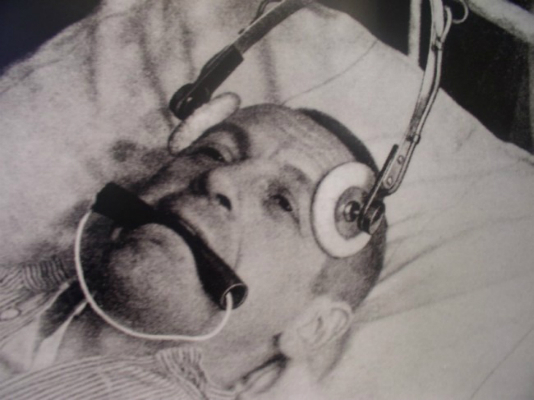 Experiments were then sent to Canada were the CIA hired physiatrist Donald Ewen Cameron who was paid 69,000 dollars from 1957 to 1964 to carry out MK Ultra experiments with paralytic drugs and electroconvulsive therapy, with often dangerous amounts of power. His experiments would consist of drug-induced commas weeks on end, whilst the repetitive sound of words and noise played out in loops, most of these experiments were carried out on patients in psychiatric institutes. Many were left with permanent side effects, such as incontinence and amnesia, patients would forget how to talk and memory would sometimes be lost as a result of these sinister experiments. The CIA ordered all MK Ultra records to be destroyed in 1973. The incomprehensible fact that 150 other subprojects also existed amongst these experiments further validated the lengths of depravity the CIA went too to play God in the cold war. A small number of documents survived, and in 1977 a freedom of information act request uncovered 20,000 documents relating to MK Ultra. The mere dark nature of these experiments not only affected victims but families years later who suffered as a result of the psychological damages that were inflicted on loved ones.